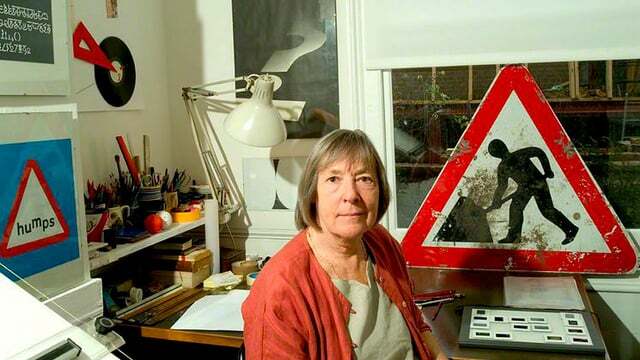 The name of Margaret Calvert, who received the OBE in the recent honours list, may not be that widely known amongst the British general public, but her work is undoubtedly more widely seen than any other graphic designer in the country. In the late 1950s Calvert, along with her colleague Jock Kinneir, began work on the new road signage system for the UK. The pair went on to be involved in many more public signing projects, for airports, railways, and hospitals. Kinneir was born in 1917 and studied at Chelsea School of Art in the 1930s. In 1956 he set up a London design practice, teaching part-time at Chelsea. Margaret Calvert had been one of his students and after graduating joined him in his practice. Kinneir died in 1994. Kinneir and Calvert’s designs for British roads were not only practical, they exhibited a warmth and humanity lacking in signage in some other countries. The ‘Transport’ sans serif font they designed has a ‘soft’ feel and their pictograms were sensitively drawn. 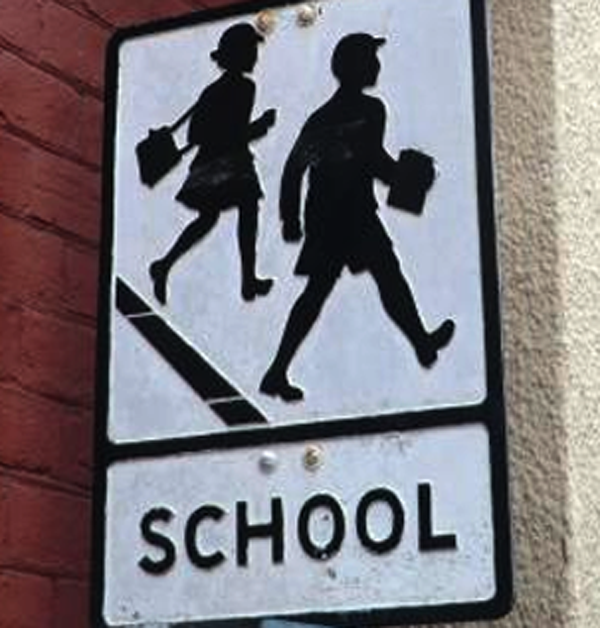 A lot of the original work is still in use today and, indeed, the Department of Transport was able to turn to the pair’s artwork and layout instructions when it digitised the signs about 15 years ago. Calvert drew some of the artwork herself, including the ‘children’ warning sign shown above. 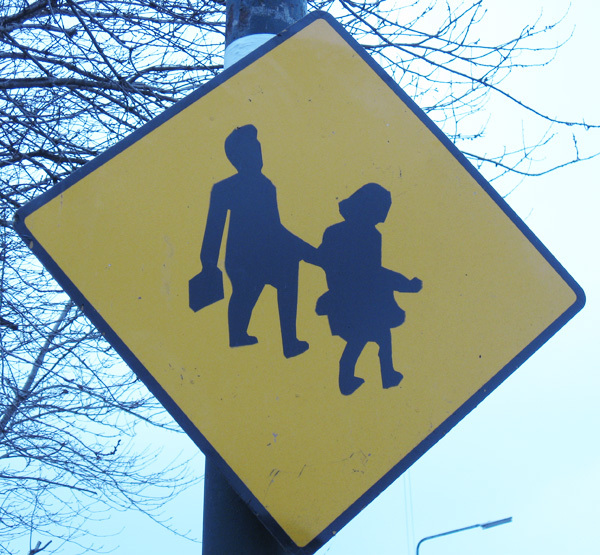 It is instructive to compare it with the British sign it superseded (whose young boy had what she called a ‘grammar school’ look) and the overly fussy sign still in use in Ireland. Her removal of all unnecessary detail is a good example of how the best public information designers produce material which allows the optimum number of users to use their cognitive capacity to the full. Kinneir and Calvert’s original work was done at a time when, in the words of author Robin Kinross, there was an ‘official will to modernise the public infrastructure’. It resulted in the work becoming a rare model of the role that design can play in public life. Although the Department is still using the basic design, it has a regrettable tendency these days to add unnecessary extra clutter (such as brown panels for tourist information). 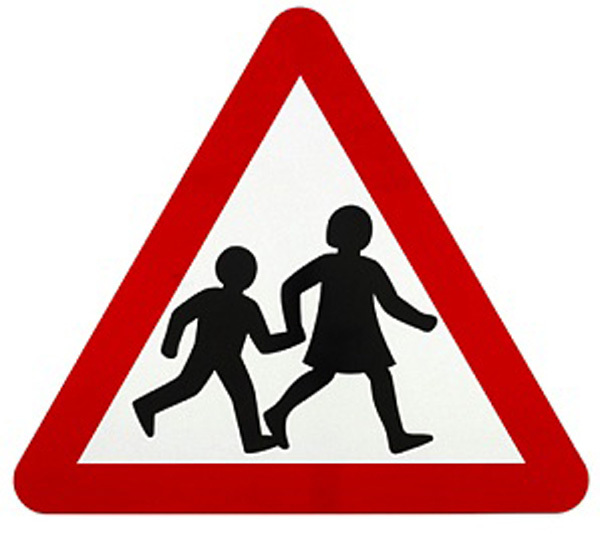 More information about Margaret Calvert here, and on her Wikipedia page.